My goal is to tell important stories with pictures and words to make a difference. Most of my work is related to social justice in some way which includes bringing opportunities to people with illness and disabilities- they deserve all the opportunities everyone else enjoys. There are so many people and organizations that have this commitment. 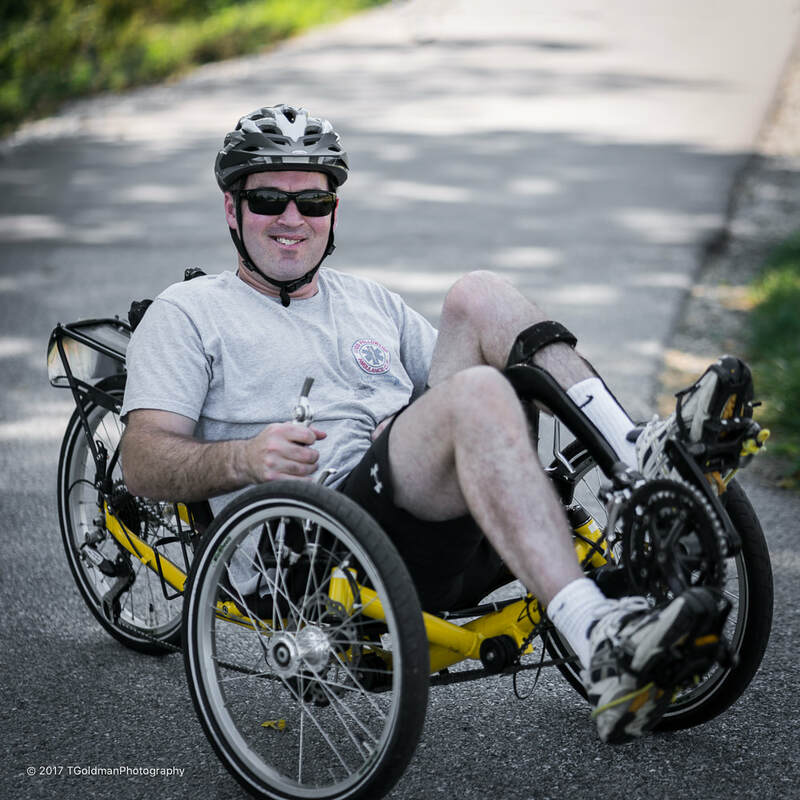 One great organization is the Pennsylvania Cener for Adapted Sports. I’m delighted to help tell their story. ​“I’m goin’ for a bike ride!” Those six words wouldn’t be given a second thought by the vast majority of people. 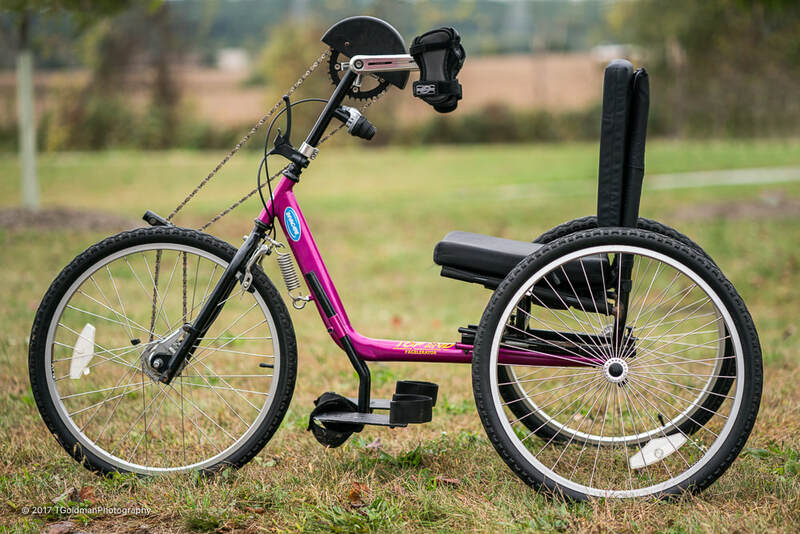 But for a person with disabilities, going for a bike ride can seem as far away as going to the moon- unless someone brings it closer. 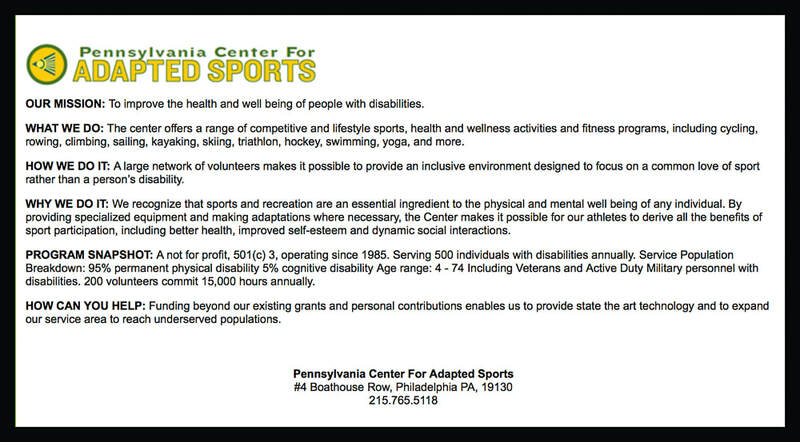 That’s what the Pennsylvania Center for Adapted Sports does- brings sports closer to people with disabilities. The benefit can be reduced to just five words: “It makes me feel alive!” For someone with a disability that keeps them out of the mainstream of life, feeling like they’re really living is worth its weight in gold… PCAS is a great organization that is below the radar of most people- that needs to change! They started with loaner bikes from the Philadelphia program: “As we branched out I wrote a grant to get money for new bikes and equipment (grants and donations are how PCAS is funded).” Then Loretta had the brilliant idea to have a benefit event- the annual Cinco de Mayo Benefit Bike Ride and Walk: “It benefits the whole organization and it helps us serve more people… In 2017 the Chester County Cycling Program has twenty three active cyclists and twenty three active volunteers.” Sounds like a perfect match. 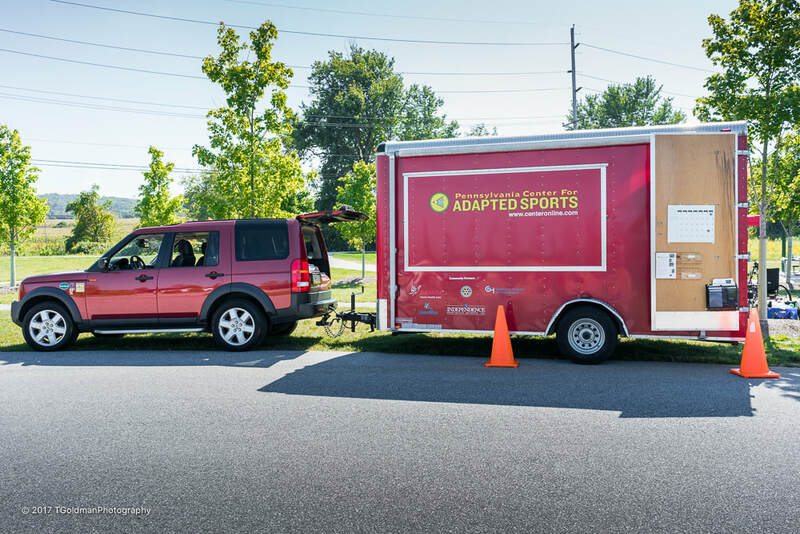 In fact this perfect match holds true for all of PCAS which has three hundred athletes and three hundred volunteers. ​Loretta Cohen with cyclist Beth Davis- the affection is clear to see. 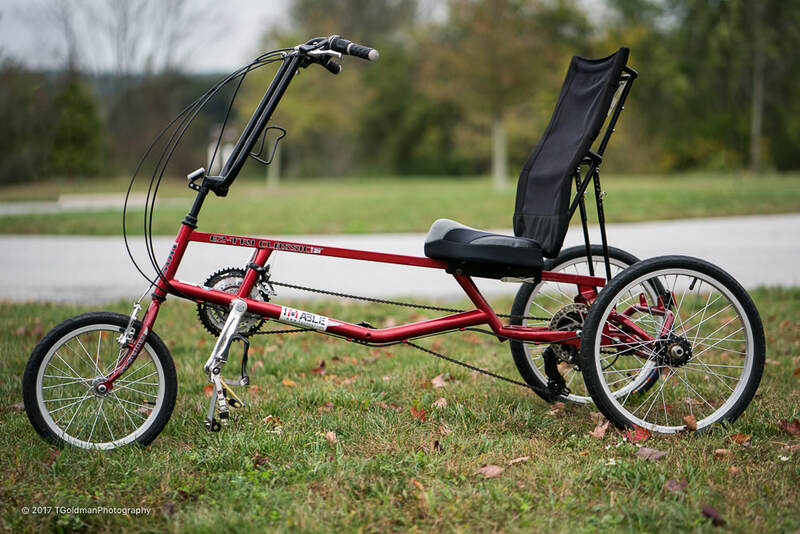 ​PCAS adapts with bikes of just about every shape, size, and configuration- some are hand powered. ​Some have an extra motor. ​Some are for the kiddos. 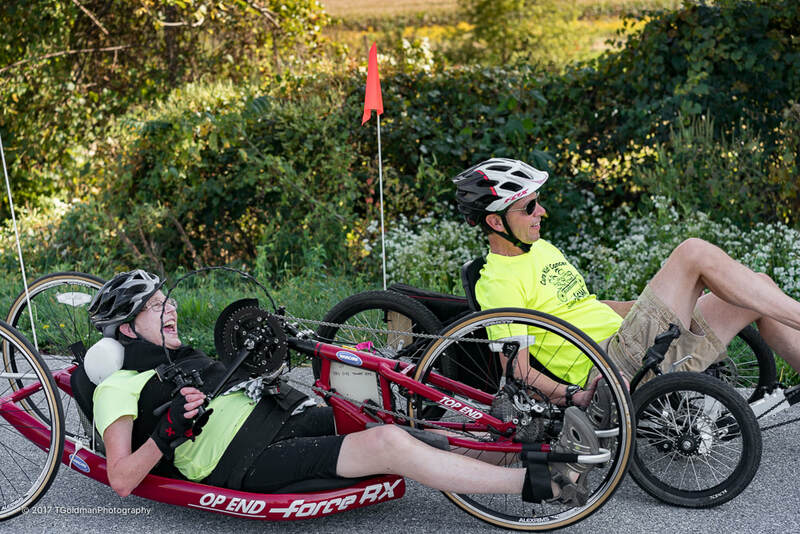 ​Volunteer Chris Robinson demonstrates the true meaning of “adapted” as he “fine-tunes” Bob Marron’s seat position- whatever it takes. ​Loretta carefully lowers Beth Davis onto her bike. This routine is repeated for every cyclist that needs help- getting some cyclists ready can take 10-15 minutes. 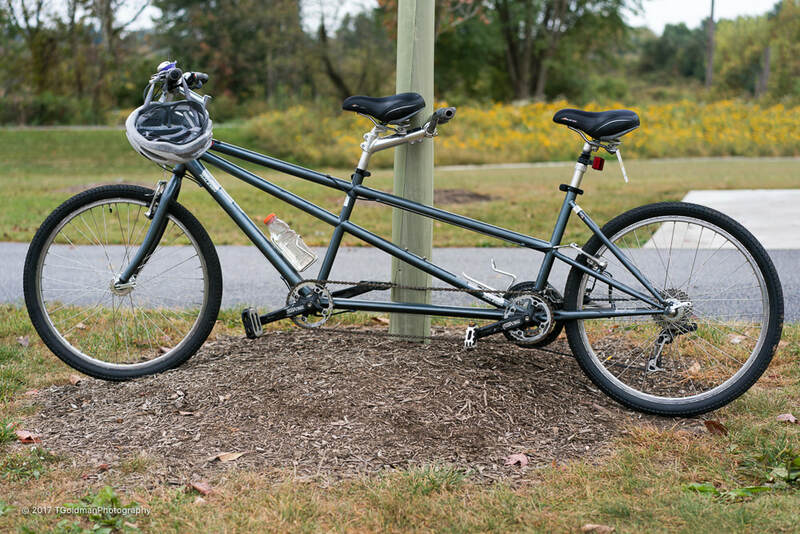 From April through October, 1:00PM means it’s time to go for a bike ride on the Chester Valley Trail. The bright red PCAS trailer arrives with its precious cargo of bikes. ​There’s no missing that sign. ​What stands out about the cyclists is that they are so happy when it’s time to ride. They’re excited, talking and laughing with everyone- this is better than any medicine that comes out of a bottle. 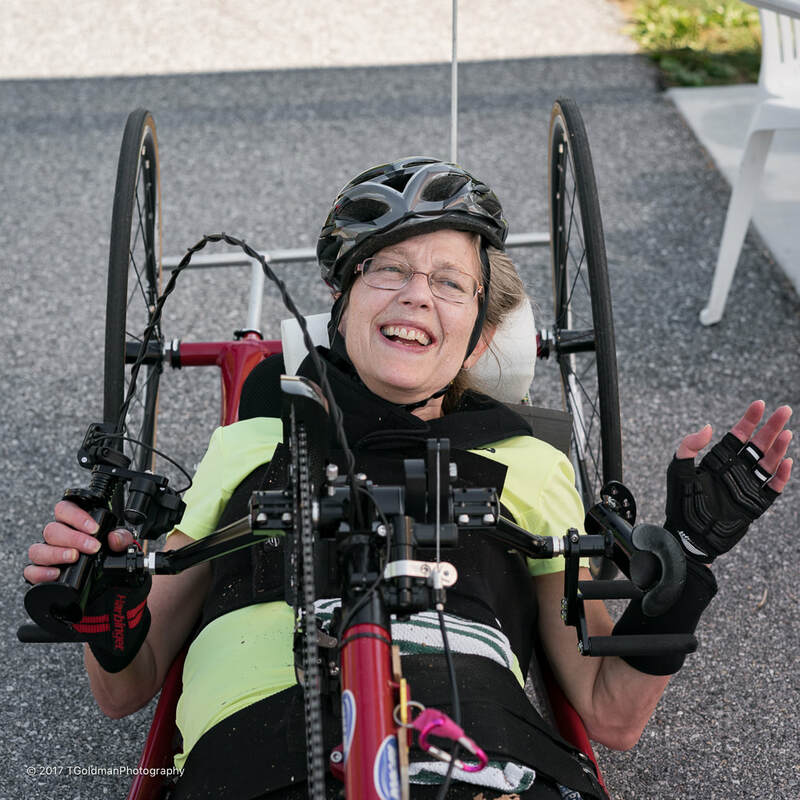 Allison McCool (61) was diagnosed with Multiple Sclerosis at 47. 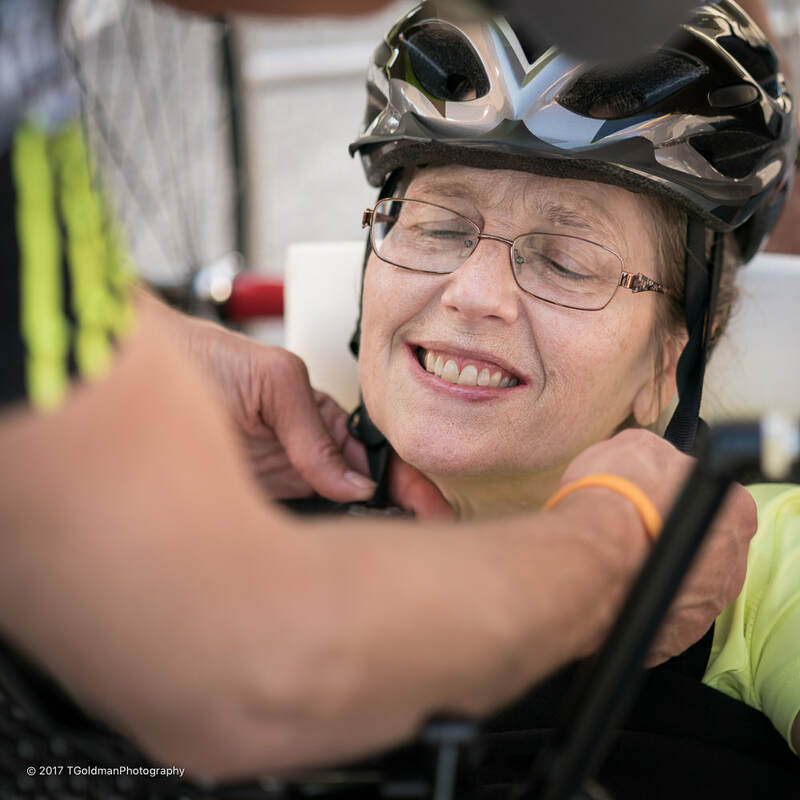 She suffers from an extreme and very rare form known as Progressive Relapsing MS.
​Allison is a great example of the care provided by volunteers and of the joy of the experience- she prepares to be transferred to her bike. ​The bike is fitted to her needs. Her helmet is strapped around that smile. ​She’s ready to go and couldn’t be happier. 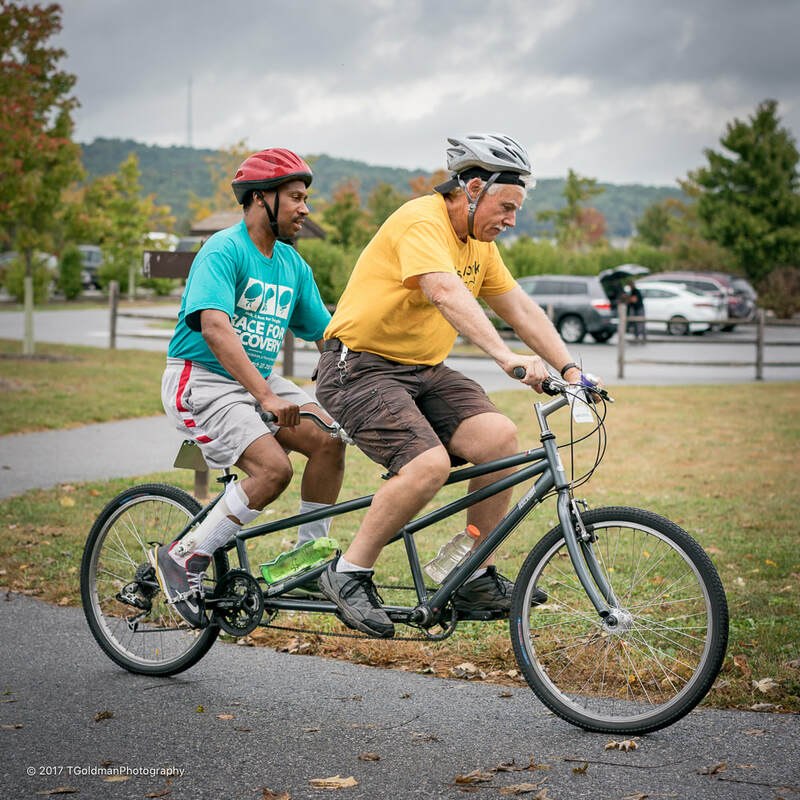 ​It’s off to the races with volunteer Greg Walters in tow- every cyclist rides with a volunteer for support. ​As she rides, her thoughts couldn’t be any further away from MS- and that’s the whole idea! ​Today’s ride is over and Allison is already thinking about next week… This program is surely a gift! 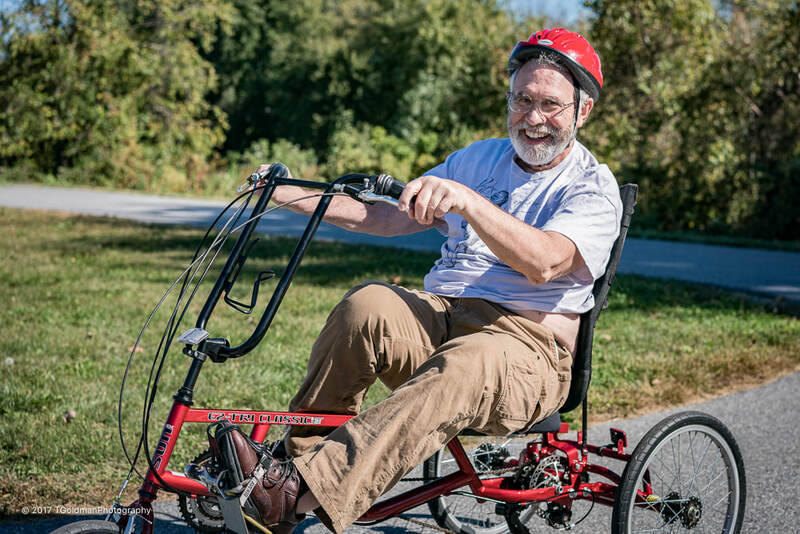 “They said I died, but they were able to bring me back; they told my parents I was completely brain dead, but an experimental drug reduced the swelling and I was able to come back.” He was an inpatient at the Nemours/Alfred I. duPont Hospital for Children for three months: “I had to learn how to do everything- walk, feed myself, talk, everything.” Today John works for Good Fellowship Ambulance, the people that saved his life. ​Beth Davis (46) was at Disney World fifteen years ago when she experienced a severe headache. It was the symptom of a stroke which left her with aphasia, an impairment of language, and paralysis of the right side of her body. As difficult as this sounds, she says with determination: “But it’s OK- I drive and can get out into the world!” The smile on her face never seems to go away. Before the stroke Beth was an elementary school teacher. While she can’t work anymore, she continues to volunteer. 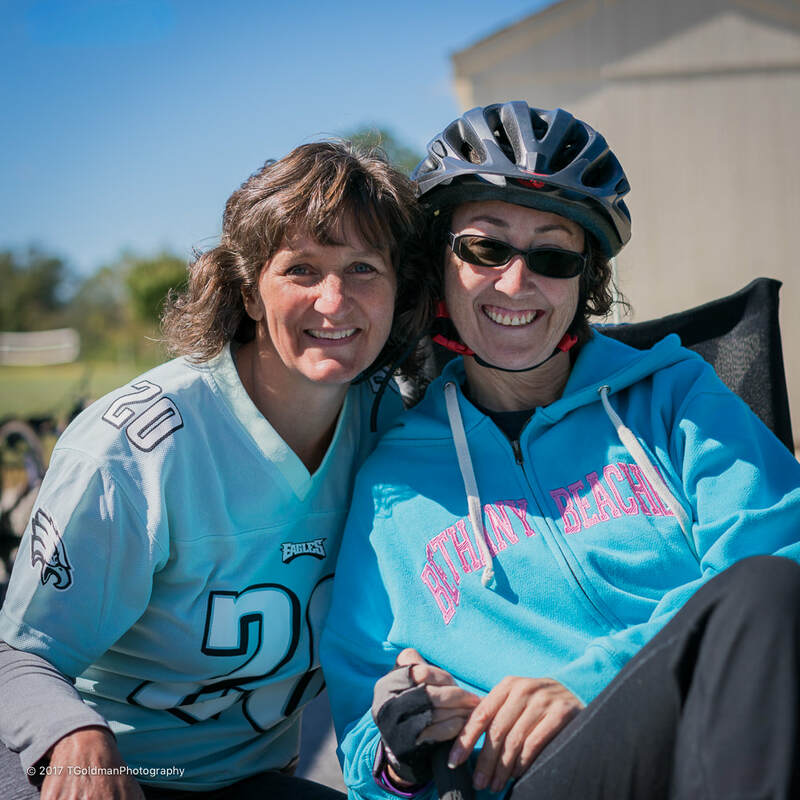 Five years ago she was introduced to Loretta and started cycling with PCAS right away. 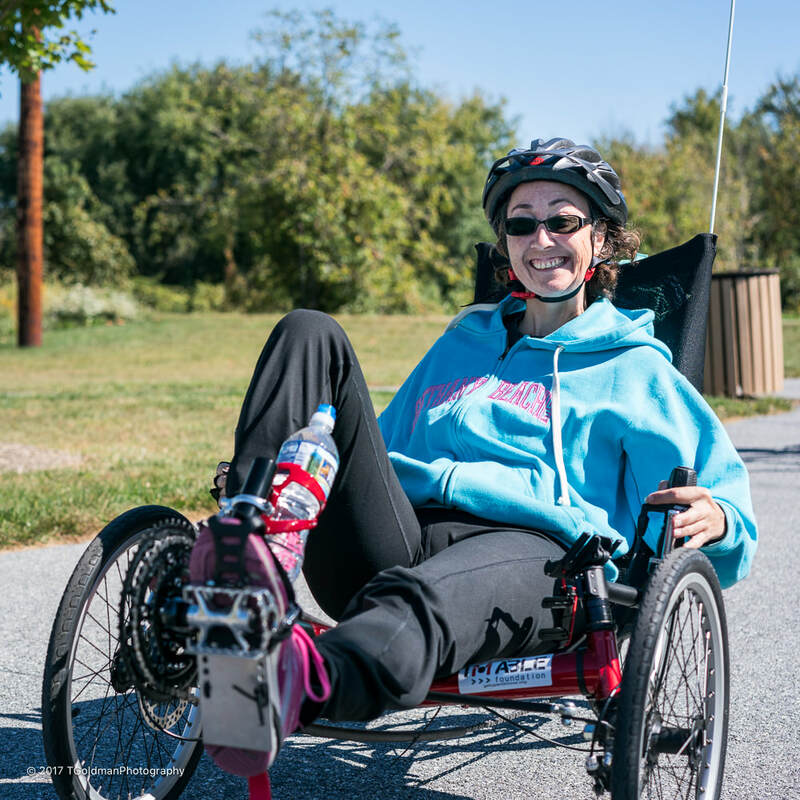 How does PCAS provide support at the ride: Beth has her own custom made bike, but she needs help to use it. PCAS volunteers take the bike out of her car, make sure it’s ready such as checking tire pressures, and help her onto the bike: “I can’t do this on my own". ​Larry Way (69) just missed out on the polio vaccine- he was diagnosed at 4 years old. He spent a year in the hospital, including time in an iron lung. He slowly progressed and eventually was able to walk without the need for any support equipment, though his right leg is paralyzed. He went to school and became a CPA. 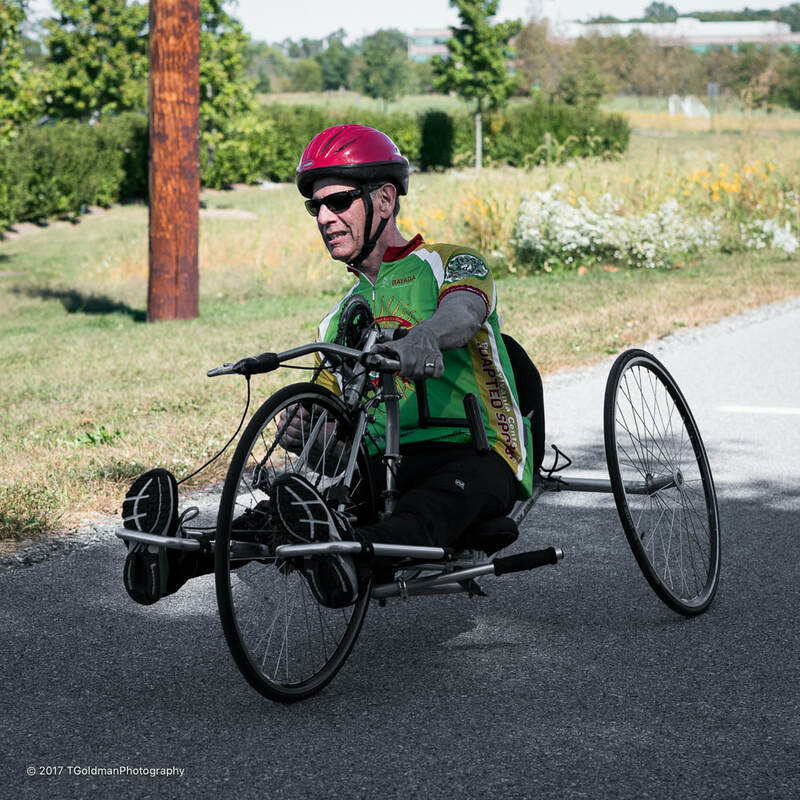 Larry was always a strong swimmer: “I swam the Chesapeake Bay from the Annapolis Side to the Eastern Shore to raise money for Muscular Dystrophy.” Larry sees athletics as a way to put off being in a wheelchair for as long as possible. ​Bob Marron (67) has had a lot of bad luck when it comes to health. In 1978 he suffered a cerebral hemorrhage while watching a game at Vet Stadium. After coming out of a coma he had to learn to walk again. His ability to walk was short lived- in 1995 he developed MS. Then two years ago he had a car accident which ruined one of his knees. In spite of it all, he remains positive. Bob learned about PCAS from his neighbor Chris Robinson who is a volunteer. Bob started riding in August of 2017. 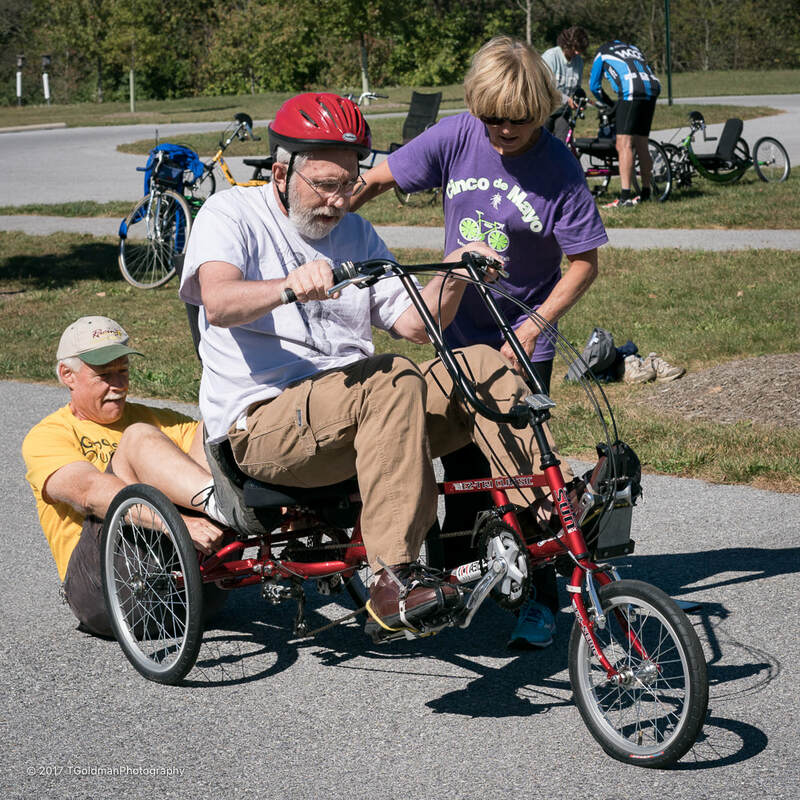 How does PCAS provide support at the ride: Bob is very lacking in strength. Volunteers spend considerable time getting him ready to ride. ​Randy Armistead (55) was a Delaware State Trooper. In 1987 when responding to a high speed motor vehicle accident, he was forced to chase a suspect going the wrong way on I-95. Randy was hit head on. Thirty years later, Randy continues to suffer from significant speech and mobility impairments. But like so many of the other cyclists, he has a totally positive outlook. 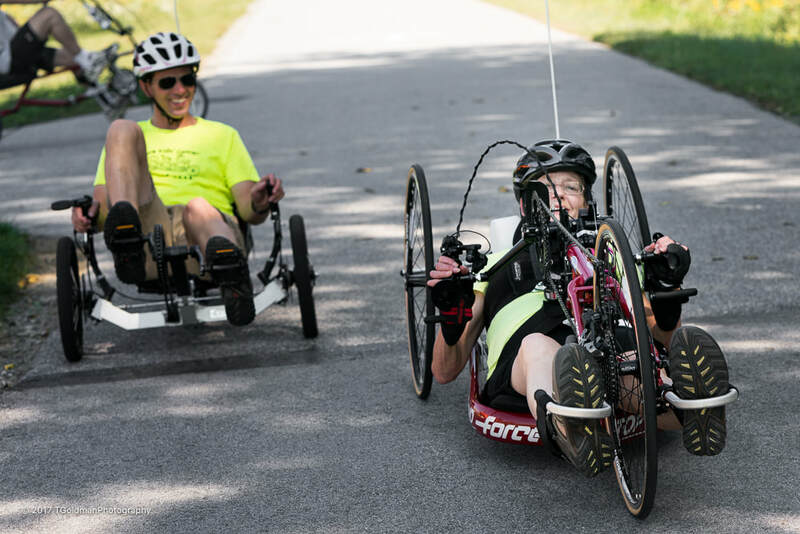 What does mean to Randy: “It’s a way to get physical interaction… If this wasn’t available I’d have to find other ways to keep myself physically active. 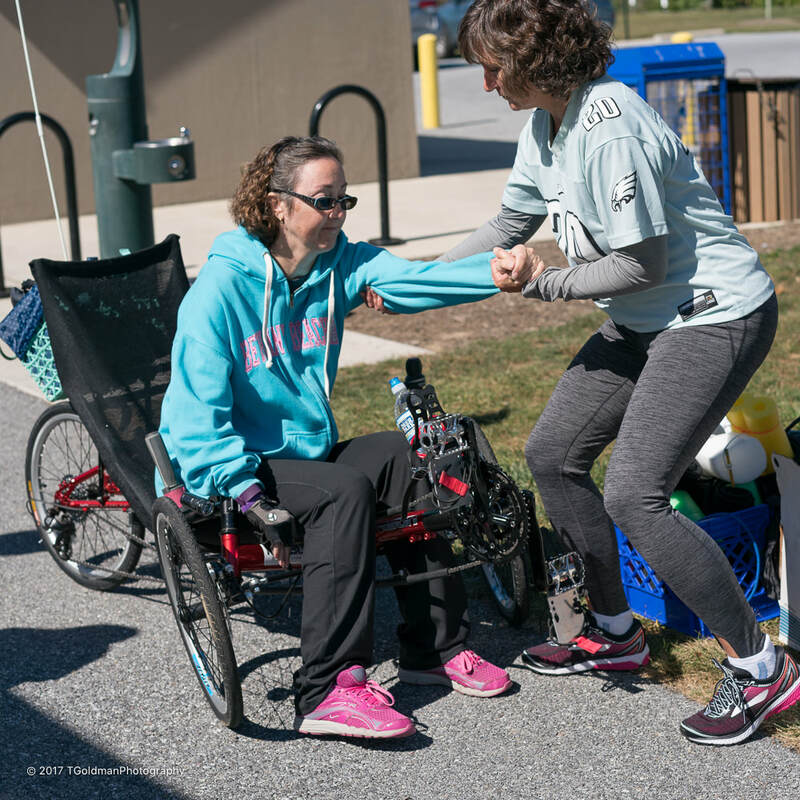 ​After doing stories about illness and disabilities, I started to realize that there is more than meets the eye when seeing a person in a wheelchair. How does that impact their daily life? I started to appreciate the hardships they must face. 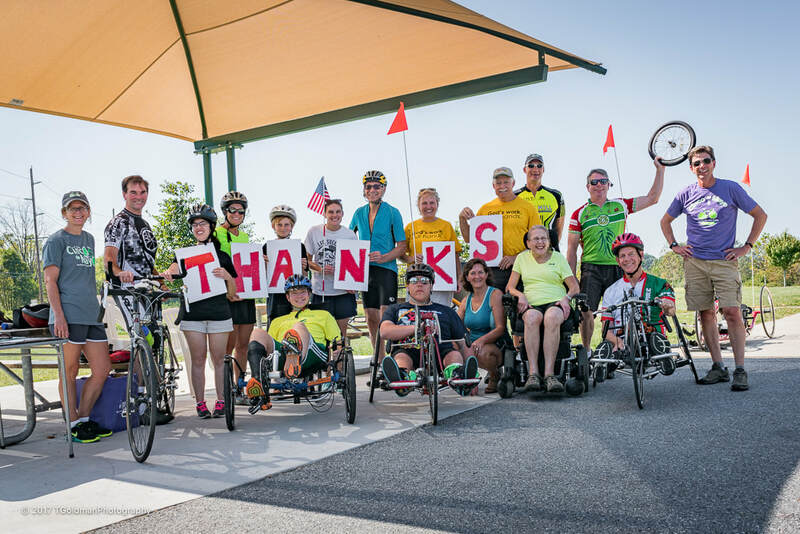 Having spent time with PCAS and these amazing cyclists, I now have an additional appreciation about how, with a little help, people with disabilities can live life to the fullest. I only saw happiness on those Sundays from 1:00-3:00. 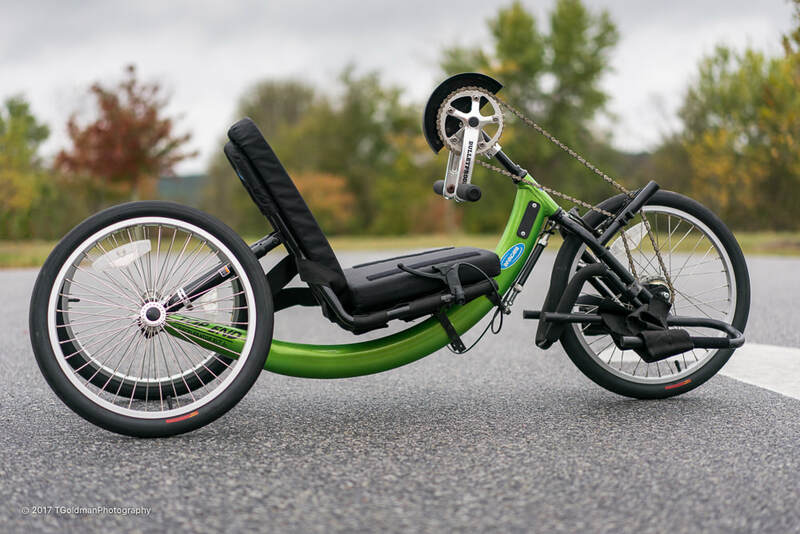 I don’t have physical disabilities, but after watching the cyclists and the fun they have, I really want to try one of those bikes- it looks like a blast!